Box 2.4. Why might song learning make males communicate more effectively with rivals or potential mates? Box 4.4. Do energetic demands explain why humans have such large brains? Box 5.3. Do steroid hormones modulate male parental behavior in California mice? Why Give Up Quickly When Fighting for a Territory? Box 8.2. Why do female moths mate with males that produce ultrasonic mimetic signals similar to those produced by predatory bats? Box 9.1. Are sperm always cheap? Sexual Conflict and Parental Care: Who Cares? Box 11.1. Why do females provide all of the care in treehoppers? Box 11.3. Why do parents in some species adopt genetic strangers of their own species? Box 13.1. How do groups of animals decide where to go? Box 13.4. 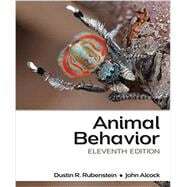 Why do males and females both have elaborate traits in social species?